Indian Mutual Fund industry has witnessed a surge over the past few years and it continues to grow at an unprecedented pace. 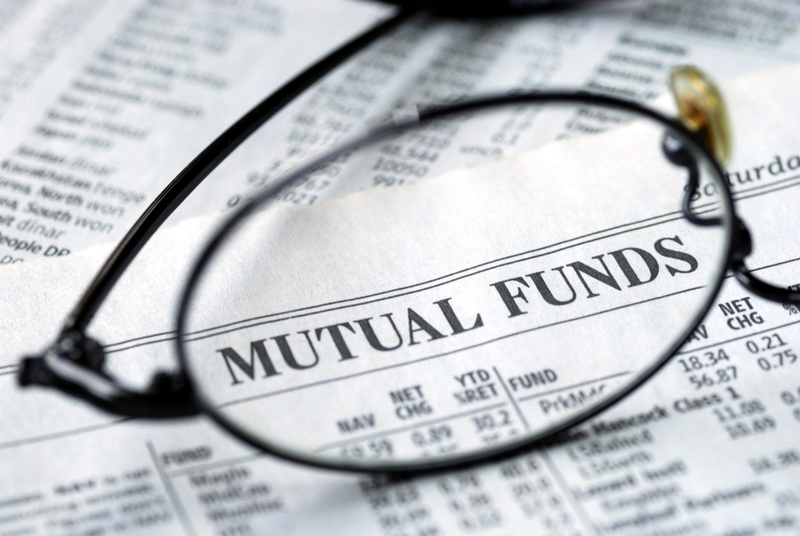 The growing interest of Indians in the Mutual Fund investments is owed to the rising incomes, lower bank interest rates, and how easy technology has made investing in Mutual Funds. Another important aspect that has attracted the savvy Indian investors towards Mutual Funds, is comparatively higher interest rates with lower risks, making it a perfect investment instrument. 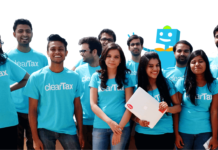 Indian fintech startups have been leveraging the huge opportunity in the mutual fund industry and further accelerating the adoption of mutual funds in India, by providing simple and hassle-free investment platforms for new Indian investors. A mutual fund is nothing but a collection of stocks or bonds that a professional fund manager buys on your behalf. The fund manager decides which/how many stocks or bonds to buy. Equity: Investing in equity funds are risky but provide high returns. Debt: They invest in bonds (give interest) issued by the government, banks and corporates. They are safe but provide low returns. Others: Investing in gold, real estate, commodities, etc. They also provide moderate returns and have moderate risk attached to them. 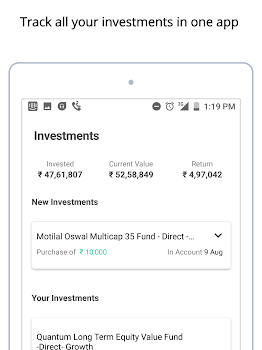 Groww is one of the growing online investment startup helping Indians make smart investment decisions by providing a completely online and hassle-free platform to discover and invest in the right mutual fund for you. 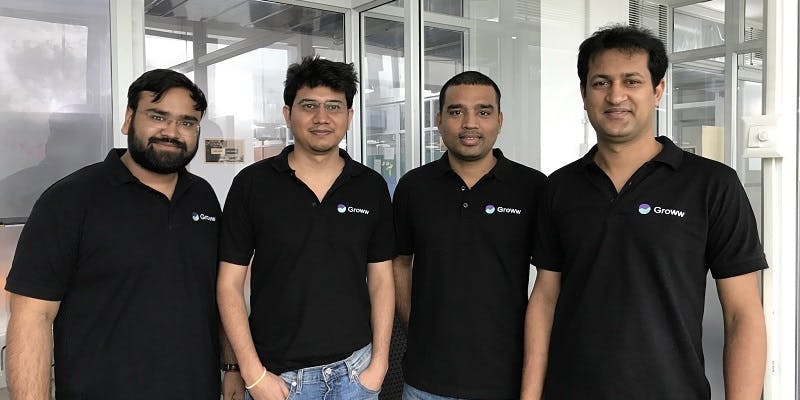 Bengaluru-based Groww was founded former Flipkart employees Lalit Keshre, Harsh Jain, Ishan Bansal, Neeraj Singh in 2016. 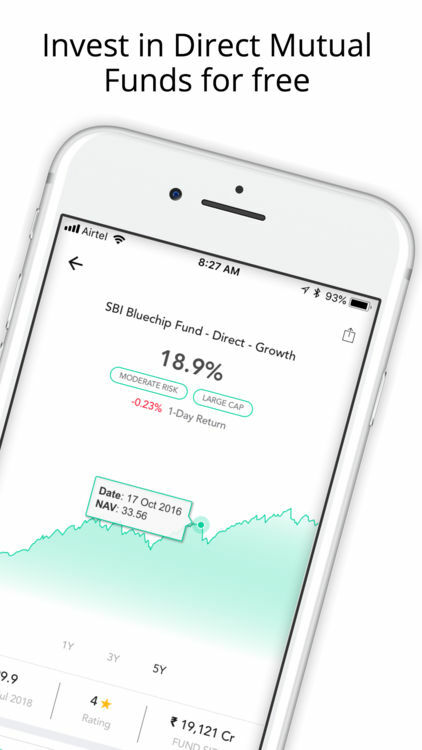 The fintech startup aims to make simply the investing process and make it accessible to everyone, helping people grow their wealth with smart decisions. 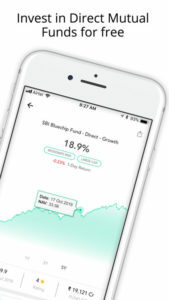 It leverages data science to offer the most suitable mutual funds to its users, based on their financial needs, risk exposure, and returns demanded. Groww is registered as a distributor with AMFI, as an investment advisor with SEBI and platform partners with BSE. 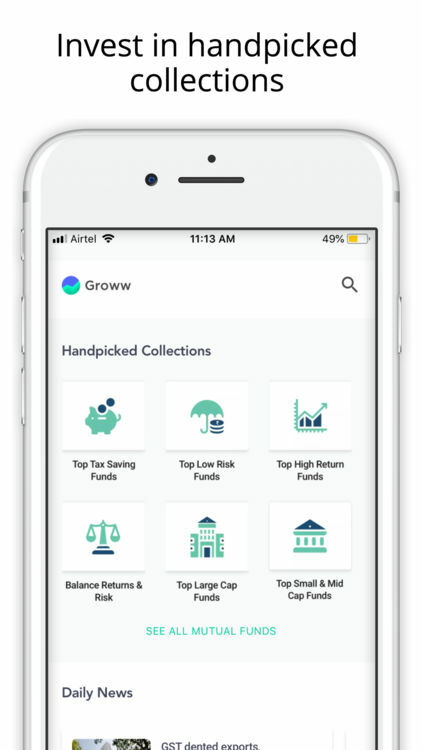 In July 2018, Groww raised ₹10 crores in pre-series A funding round, from some of the top investors like Insignia Ventures Partners, Lightbridge Partners, Kairos, along with some early investors Mukesh Bansal and Ankit Nagori. American seed accelerator Y Combinator is also an investor in Groww. Diversify across multiple stocks and other instruments like debt, gold etc. 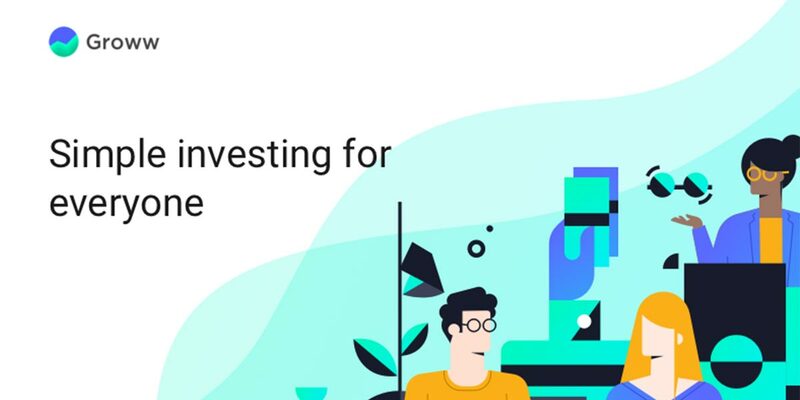 Groww has a team of dedicated and experienced professionals, working tirelessly to provide its users with a seamless platform to help them grow their earnings. In a country of 1.3 billion people, there are only 20 million investors. 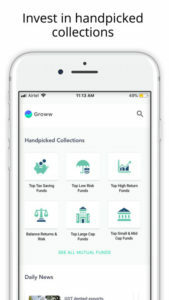 Groww is looking to change that through its technology platform, making investing accessible to all. If you are new to investing in mutual funds, Groww will be a perfect platform to startup your growth journey. It provides a clean and simple platform, guiding users all along the way. Click here for more information on Groww. Unit Linked Insurance Plan vs Mutual Fund: Which one to choose?